I've been reading up on Essential Oils for quite some time. And the last few months I've actually been ACTING upon my interest. Before Vegan MoFo started I had a few people ask me to post my findings and my journey with Essential Oils. I figured now is the best time as any to start posting a few things. It just seemed like a nice way to start the weekend, too! As many of you know I contribute to The Raw Food World NEWS Site. You can find most of my posts within the RECIPE Section of the site or you can click on my PROFILE, too! This post really won't be a 101 type crash course but some of the things I have done with them and I will start building Essential Oil posts here on my blog as well as over at The Raw Food World NEWS Site. 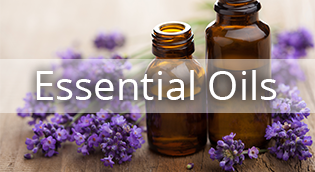 First up...one of the Essential Oil combos that I think is great to have on hand and on stand by near your kitchen and/or bathroom. The Burn Blend. This blend is made up of a carrier oil, Tea Tree, and Lavender. By clicking on the link you can see the full recipe and benefits profile of this blend. As a default I usually use Grapeseed Oil or Coconut Oil as my carrier oil of choice. Lemon Body Wash is another thing you can do with Essential Oils. All you do is add Orange, Lemon, and Ginger Essential Oils to an UNscented Body Wash of your choice. Tomorrow I will be posting a few ideas using Lemon Balm LEAF. Stay Tuned. Ooh, I need the burn blend! 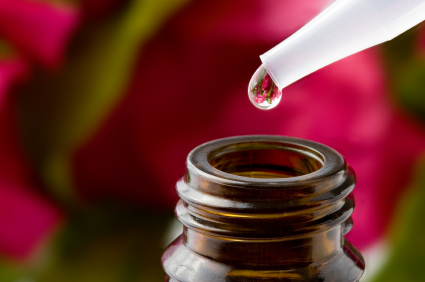 I love learning more about essential oils! I want to make the lemon body wash too, that sounds amazing, and the smell of citrus always cheers me up! Citrus is VERY uplifting that is for sure! I have been getting questions about stress blends, sleep blends, calming, and peace...I hope to be posting more soon! Very interesting, need to try the burn blend too. Thanks for the info! Let me know if you have any other suggestions! I have some more ideas on tap and am waiting on my new diffuser to arrive, too! Oooh making lemony body wash sounds fund! Body Wash with us on the Healthy Happy Green and Natural Party Blog Hop. I'm pinning and sharing. I will have to look into Rose Hips more. Thanks for the reminder!